Before starting Problem Solved! 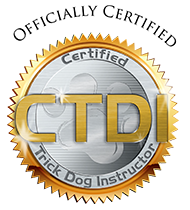 Dog Training, Susie graduated from a rigorous dog training program in Dover, Delaware. This program had a heavy emphasis on mastering leash handling skills and crafting practical goal-oriented training protocols. Practicality is important for the average pet owner to follow through and be successful! Though the initial training was necessary to get her started, it was only the beginning of Susie’s professional career. Susie’s interest in professional dog training began while volunteering at a local shelter. She noticed an alarming trend of dogs being surrendered for trivial things such as “too much energy, jumping, nipping, escaping from the house, failed potty training.” She watched people arrive crying, feeling heartbroken and full of guilt. What was shocking was that many had undergone “professional” dog training. She felt helpless to offer assistance and wanted to find an answer to stop the people’s pain and the dog’s loss of the only family they knew. Susie’s life’s mission is now working with families to keep dogs in their homes by teaching entire families how to properly communicate with their dog. Without everyone on board, the dog will receive mixed signals and not understand how to be successful in it’s home environment. Most often dogs don’t even realize that what they are doing is unacceptable! Susie firmly believes that learning should never stop and prides her business in being open-minded and creative in training styles. What’s right for your dog isn’t right for every dog. She will utilize ALL methods of training. Just to name a few: marker training to teach new behaviors or clarify existing ones, marker training for behavior modification creating positive associations alongside triggers, collars suited to your dog’s needs, remote collars for off-leash control, drive-building exercises, tug for fulfillment of drive and trick training for mental enrichment. The list goes on. Every new piece of knowledge is important! While regularly attending seminars, conferences and workshops, Susie also consults with other seasoned professionals for additional techniques and approaches to enhance her training tool belt. Just to name a few: Robin McFarland’s E-cademy, aggression rehabilitation in British Columbia with Ted Efthymiadis and Sarah Fulcher, Certified Trick Dog Instructor through Kyra Sundance’s “Do More With Your Dog,” Chad Mackin’s socialization for difficult dogs…etc. She is also a proud member of the International Association of Canine Professionals (IACP) and regularly attends their yearly conference.